The Microfiber Glass Cleaning Cloth is a low pile towel that is great for cleaning windows and mirrors, polishing chrome, glass, and metals. This glass polishing cloth has a super tight weave, and a low pile (not as thick as the ultra or elite mirror cleaning cloths). This microfiber glass towel works exceptionally well for windows and mirrors around the house. Microfiber glass cleaning towels are a favorite of restaurants and wine bars for cleaning wine glasses spot free. 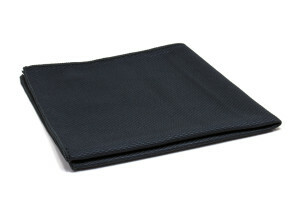 To purchase a larger glass cleaning towel see our square, 16 in. x 16 in. glass wiping towel. Microfiber Window Cleaning Cloth Size: 16 in. x 16 in.